San Antonio Secortez, Guatemala – Jakelin Caal was excited to go to the United States. The seven-year-old indigenous Q’eqchi’ girl told everyone in her small remote village in San San Antonio Secortez about the new life she and her father, Nery, were going to have. “She was excited to travel,” Matin Tut, Jakelin’s 52-year-old neighbour recalled. “She mentioned it every chance she could,” he told Al Jazeera. Jakelin and Nery made it to the US on December 6, crossing the border into New Mexico with a group of more than 150 others. They were detained by Customs and Border Protection agents, taken into custody, and on December 8, Jakelin was pronounced dead. More than two weeks later – on Christmas day – Jakelin was buried. “We barely slept last night,” Domingo Caal, Jakelin’s grandfather said, as he walked down a muddy trail to the simple grave of cement blocks he and other men from the community constructed in a small cemetery. On Monday, a wake was held, with neighbours and others from nearby communities visiting the family. CBP initially said Jakelin died of dehydration and shock, a claim the family refutes. The official cause of death is pending as the autopsy results are being finalised. The administration of US President Donald Trump, who has implemented a “zero tolerance” policy at the border, has been under increased pressured from rights groups over the way migrants and refugees are treated both at the border and once in custody. The United Nations special rapporteur on the human rights of migrants, Felipe Gonzalez, called on US authorities to investigate the case. “The government should also address failings within the immigration system, and specifically within the US Customs and Border Patrol agency, to prevent similar situations,” Gonzalez said in a statement earlier this week. But on Wednesday, CBP reported the death of an eight-year-old Guatemalan child that was in its custody. According to a CBP statement, the boy was treated in the hospital for was initially thought of as a common cold. He was later released. He was transferred back to a medical facility after exhibiting nausea and vomiting. He died shortly after midnight on December 25. The cause of death is not known. 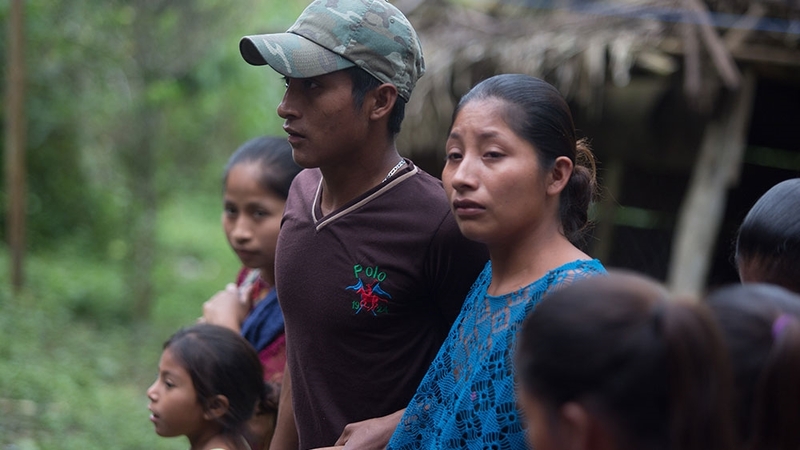 Jakelin and her father were driven to flee to the United States due to the extreme poverty, rampant inequalities and lack of opportunity in rural Guatemala. Nery had briefly worked on a palm oil plantation, but according to his brother, Carlos Caal, was fired after six months for demanding better pay. The brothers earned 65 quetzales a day (about $9), yet nearly half went to transportation and food each day. Like many others, they went to the US, looking for better opportunities for themselves and their familiy. According to data from the US Customs and Border Protection agency, more than 72,000 Guatemalans, primarily children or family units, were captured trying to enter the US southern border between October 2017 to September 2018. Nearly 30,000 others were captured at the beginning of fiscal year 2019, which began in October. At least 30 people have migrated to the United States from San Antonio Secortez in the last three months, residents said. “We have heard that there are better opportunities in other countries,” Tut explained. Tut has thought about going, but Jakelin’s death has caused him to reconsider. Back at Jakelin’s burial site, the community said a small Q’eqchi’ prayer. Not much more was said before Jakelin’s body was slowly lowered into the simple plot on a hill that overlooks the fields.